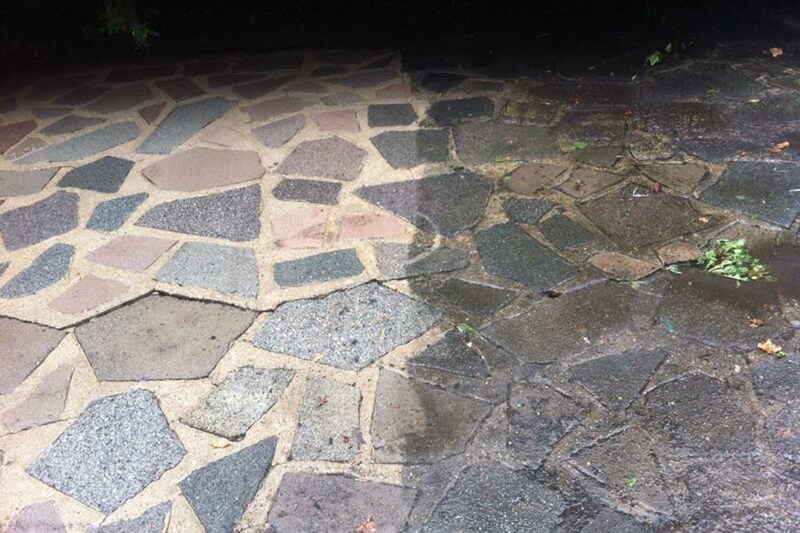 If you have any kind of concrete or paving around your home, from driveways to pavers to porches, power washing the concrete is the most effective and easiest way to get them clean and maintain them over time. Why should you regularly power wash these surfaces? Because of where these areas are located, they often attract grime, in the form of dirt, oil, food and beverage debris, and mold and mildew spores. Cleaning these off with regular cleaners and a garden hose is next to impossible. Most of these debris types are at least a little acidic, and some of them are very acidic. Over time, leaving the materials in place will degrade the concrete, making it more vulnerable to cracks and holes. Rainwater will accumulate in these holes, which then become a perfect breeding ground for mold and mildew, and also leave places open for grass and other plant-life to take hold. 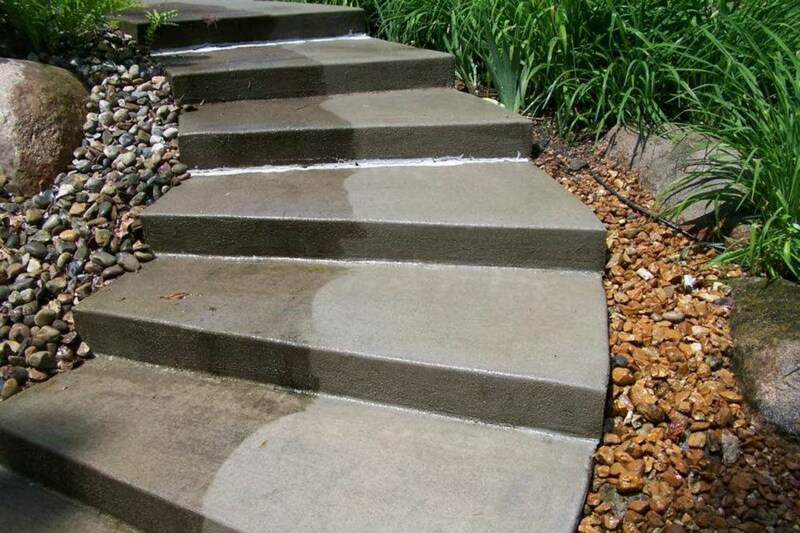 In general, only water is necessary to clean concrete surfaces. In situations where there is a great deal of grime or oil, we may decide that a biodegradable cleaner is the best way to get your concrete clean and refreshed. All of the cleaners we use are safe for plants, animals, and people. By maintaining the concrete and paved surfaces around your home, you maintain your home’s value, keep the area healthier for yourself and your neighbors, and make sure that the profile of the entire area is lifted. You prevent expensive repairs that would need to be completed at a later time. Overall, you save money in the future by investing it now. 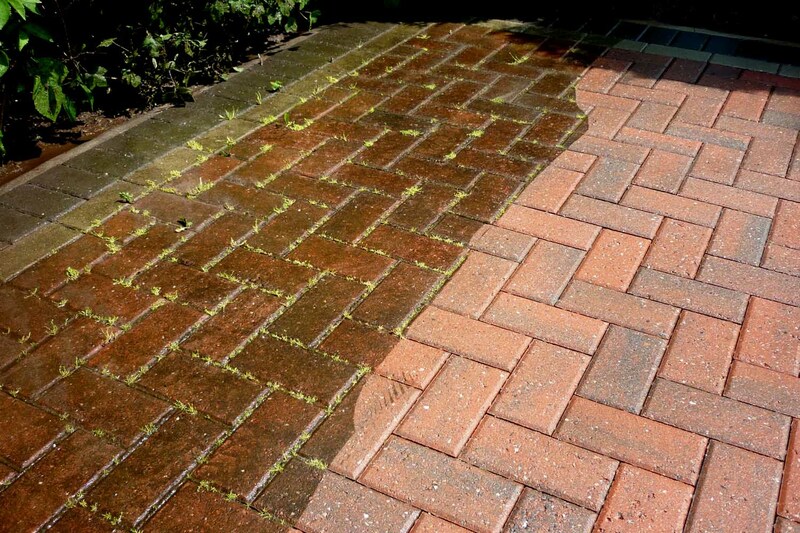 At Essex County Power Wash, we are available throughout the county, including Montclair. We strive for excellent customer service, and are delighted to work with you to make sure that your home is clean, healthy, and beautiful. 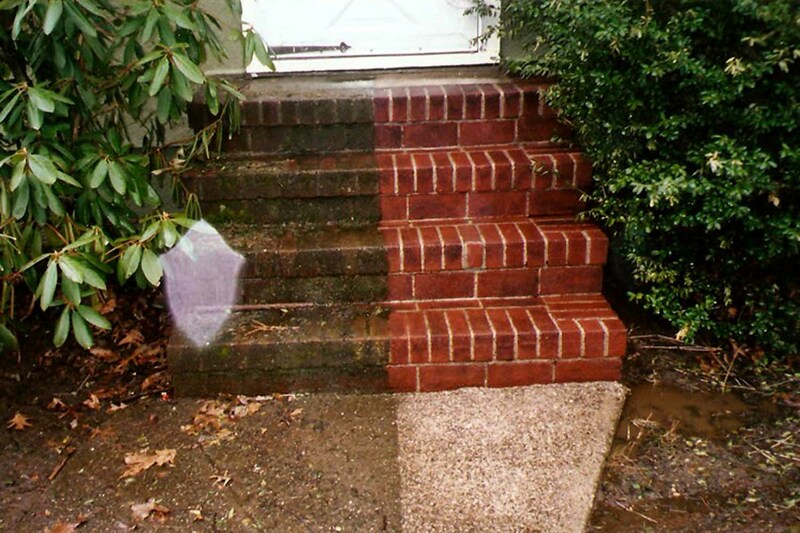 Contact us today to learn more about how to support your home’s exterior with power washing in Essex County.